Weekend is almost over, 90% of the field trip is over, it is time to look back and maybe have a cup of tea. I was so close to missing this trip at the very beginning! My visa got refused the first time, and I re-applied only 3 weeks before this trip, but here I am, how lucky! My first essay was done in three nights, and of course the result wasn’t good. I remember 4 hours before we went to Melbourne airport, I handed in my last report, and around 14 hours later, I was in Dubai! First impression, unreal! I have never seen so many tall buildings like that; I have never seen a city front door is ocean back door is desert; I have never seen bus stops with air con 24/7 etc. But shortly, when I observed closer, my impressions changed. Shining buildings only exist in certain areas, outside those areas, places are pretty normal, some even pretty run down. Dubai doesn’t feel like a city in a whole, it is more like a symbolized place where it attracts wealth and power. Dubai is an odd place to me, bus stops with air con 24/7 even with no one using it, just unbelievable! Another weird place is Sheffield. Sheffield is the 4th largest city in UK, but in terms of shopping, Sheffield is 64th (a local told me, figure may be wrong, but the idea is there); Sheffield is large, but no one feels it is large, it is quite easy get to the countryside in 15 mins from CBD; Park Hill was an almost demolished site, but got heritage listed, so it stands there and no one wants it; even locals cannot tell where the city centre is, the ring road seems physically outlined to the city centre, but there is no clear focus of city centre; Sheffield is a product of industrialization, but it also ruined because of it. We went to Leeds, York and Liverpool, compared to Sheffield, they have much more to offer. Leeds is very attractive, the city centre is one of the most successful combinations of history and modernity, full of shops and shops are full of people. 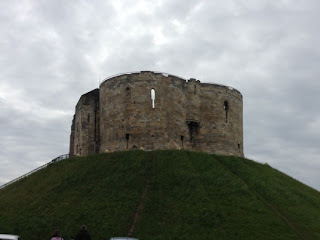 I do like York, it has lots of stories to tell, it has so many historical legacies. Liverpool waterfront is amazing, it is full of possibilities, shops are there, recreation spaces, attractions, everything is in a perfect setting. Port Sunlight is another very interesting story. Apart from its history and housing style, the whole system was actually built by one man, it was quite impressive, and not like the land fell apart when empire was dead, his system was passed on by later generations. It is a very interesting system, power was transferred into different hands, but overall outcome is quite positive. From planning point of view, Port Sunlight was planned very well. Soap factory provided major employment; hospital provided good health care; school provided good education; everything is not in a large scale, but everything works. On some level, Port Sunlight is doing much better than many famous cities. 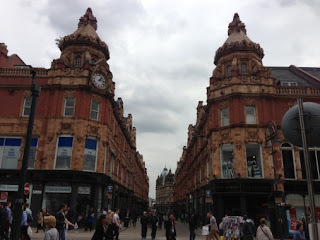 Anyway, we can only count the time we stayed in Sheffield in hours. Our group will have a very long meeting, and we are pretty confident of having a wonderful presentation in the end! Now with the help of mobile friendly websites learners and working adults can get quality education and attain an online life experience degree. Online learning is the new method of education, it uses latest technology in this method. Your study tour of Sheffield is good. I would love to read your post. Students need dissertation writing help. Students experience depression, anxiety problems and undesirable stress due to so much work and so on. So they tend to move towards taking Assignment Help. We provide any subjects assignment. My Assignment Services is one such Assignment Help UK provider which provides a helping hand to all your academic related queries. They have a lot of professional experts who are skilful in giving you guidance and providing you with cheap assignment help services. You are free to contact their experts by visiting their website and get your pending presentations completed on the time. Given below are some of the steps that they follow while drafting your assignments. Many students see that University Assignment Help Australia experts are proficient in writing your assignments but no one wonders the reason behind it. However, students pursuing IT need to understand the concepts of Java because it holds down the concept of object oriented programming. The programming concepts are complex to understand and brings a havoc to students, that is why, My Assignment Services bring you our online assignment help services. Taking out some time to consider and contrast about what options that you have that you can include by writing them on a piece of paper. You can also contact some real time Human Physiology Assignment Help experts to assist you with the following topics.